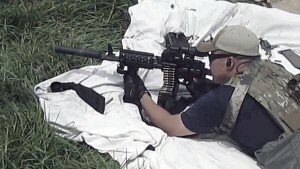 Look Who’s Holding an Integrally Suppressed Rifle! Photo Op! Georgia Governor Nathan Deal with Daniel Defense Executive Vice President, Cindy Daniel during a Daniel Defense factory tour in Georgia. Georgia Governor Nathan Deal (Endorsed by the NRA) with Daniel Defense Executive Vice President, Cindy Daniel. They are both holding the DDISR (Integrally Suppressed Rifle), which is chambered in 300 Blackout (7.62 x 35). This entry was posted in Uncategorized on October 22, 2014 by rmuramaru. Machine Gun and suppressor, regulated by the NFA. A NFA Gun Trust is a legal document that can open you to the world of NFA firearms and accessories. However did you know that an NFA Gun Trust does more than simply allow you to purchase or build NFA items? As mentioned in this article, a properly drafted NFA Gun Trust can protect you, those that use your NFA items, and the NFA items themselves. This entry was posted in Uncategorized on October 15, 2014 by rmuramaru. 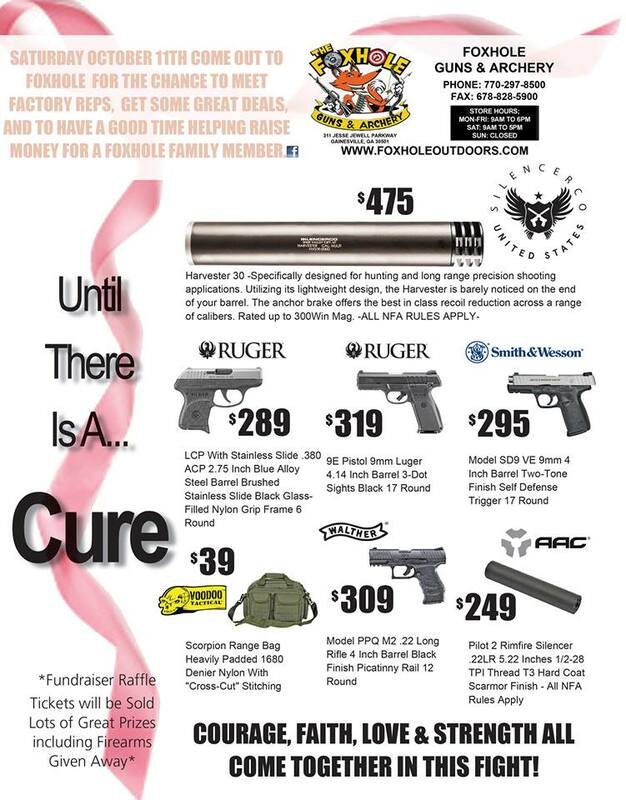 Our friends at Foxhole Guns & Archery in Gainesville is holding a Breast Cancer Event today to help raise funds for the fight of one of their own. Meet factory reps, enjoy great deals, and speak with Jin H. Kim, the NFA Gun Trust attorney of Kim Firm Guns! Kim Firm Guns will be at Foxhole Guns and Archery through 5PM today to answer your NFA Gun Trust questions. Come out and support the fight against breast cancer today! This entry was posted in Uncategorized on October 11, 2014 by rmuramaru. Grassroots NFA reform in the works? 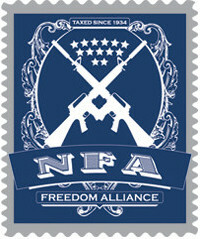 Here’s some news that came across our desk this morning about the NFA Freedom Alliance. 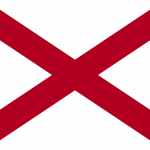 Their aim is to expand the rights to own, sell, and use NFA items. Read more about this initiative here. Currently the CLEO sign-off or NFA Gun Trust is the instrument of choice for the ownership, use, and protection of NFA related items. This entry was posted in Uncategorized on October 10, 2014 by rmuramaru. While we’re a little late to post this, on Oct 1, Alabama became the 34th and latest state to legalize hunting with a suppressor! Read more at the ASA link below. This entry was posted in Uncategorized on October 8, 2014 by rmuramaru. 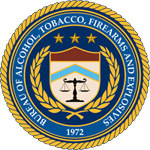 One of our Kim Firm Guns clients just reported they received their approved hard-copy Form 4 from the ATF in four months! This entry was posted in Uncategorized on October 7, 2014 by rmuramaru.